The building complex that houses part of the Met Office’s new supercomputer at Exeter Science Park was declared one of the best projects in the UK at the construction industry’s annual ‘Oscars’. 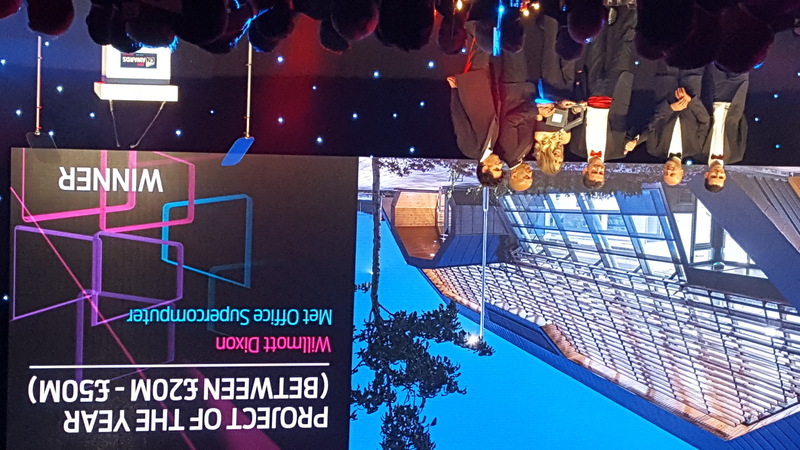 Willmott Dixon’s work to build the facility that houses the new supercomputer was declared Project of the Year in the £20m-£50m value category at the Construction News awards, with judges hailing this ‘unique’ building. Judges also commended on the ‘outstanding’ results on a ‘hugely technically challenging project, being a 60 degree-leaning cantilevered structure’. 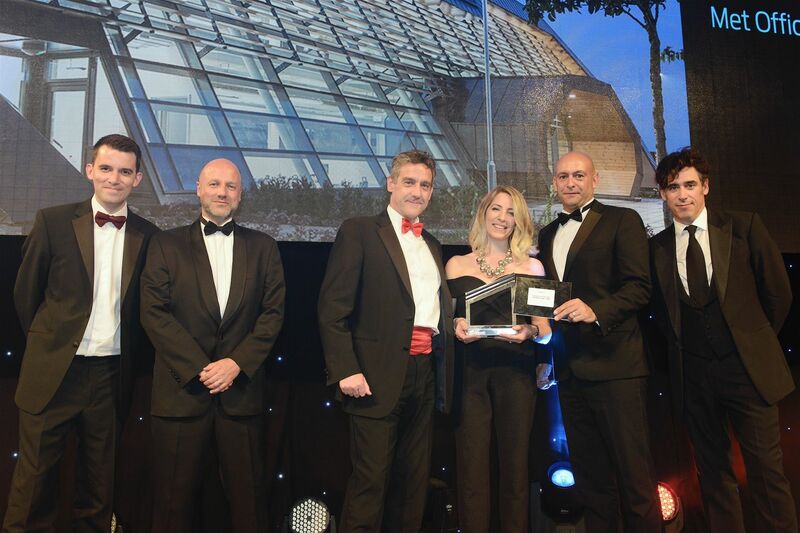 Construction News also highlighted the excellent health and safety record, Willmott Dixon’s approach to local spending and employment and its use of apprentices on site as reasons for the project beating a host of others across the country to the coveted ‘best in class’ title. Willmott Dixon also recruited a student from Exeter University to analyse all site movements to demonstrate how carbon could be saved if people, for example, shared cars and held meetings via the internet. The results of this analysis have now been implemented across the company. The Met Office’s High Performance Computing Complex was completed in autumn 2016. The supercomputer it houses is one of the fastest in the world and the largest dedicated to weather and climate science. It is expected to enable £2bn of socio-economic benefits to the UK over the next five years. The award is a major coup for Willmott Dixon one year after it opened its new Exeter office at Park Five Business Centre. During that time the company has been steadily growing in the region, creating jobs and winning work. That includes creating the new Plymouth History Centre as a major national attraction and starting on site with Route 39 Academy in North Devon.